Recreating the Natural Ginger Matrix with PNS Technology. GinactivTM from Aurea BioLabs opens up new possibilities for gingerols with exceptional bio-availability using PNS Technology. Despite its well-researched anti-cancer, anti-oxidant, anti-microbial, anti-inflammatory and anti-allergic properties, ginger’s usage is limited due to its poor bio-availability. GinactivTM offers high purity gingerols and the best possible bio-availability that can be achieved in a powder form. 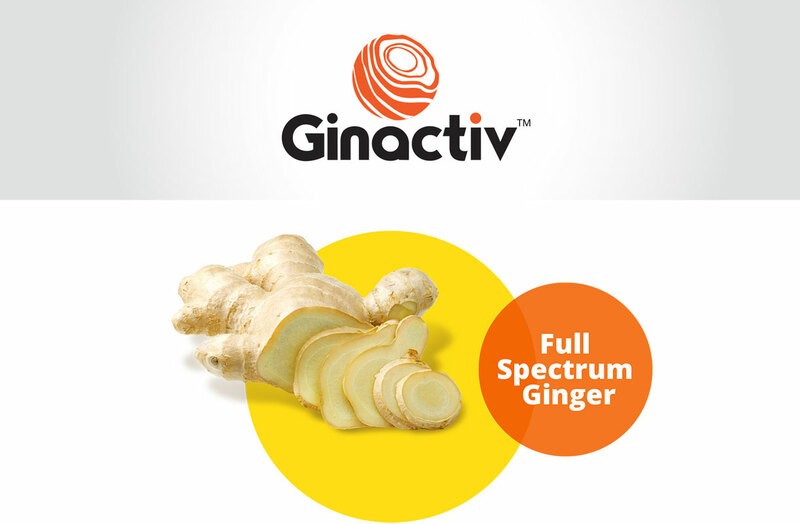 GinactivTM overcomes the challenge of the poor bio-availabilty of ginger’s curative, non-volatile pungent compounds like -, -, -, - Gingerols with PNS Technology. The innovative formulation recreates the natural ginger matrix, making use of all the bio-active molecules from ginger. GinactivTM consists of a non-polar part composed of ginger essential oils and a polar part with ginger fibre/protein extract; gingerols are sandwiched between these two layers to help the transmission of bio-active components across the lipid membrane and makes the product more bio-available. With the improved bio-availability, it can be safely incorporated into food, dietary supplements and cosmetic preparations.